My visit this fall to Montrose hasn’t stopped inspiring me. Ceratotheca triloba, also known as South African foxglove, is an unusual annual plant that thrives in gravel soil. 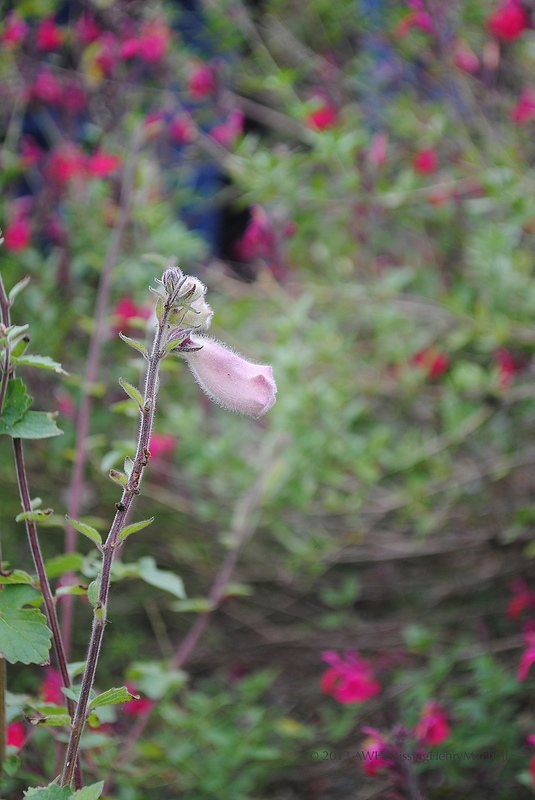 It looks a bit like a cross between a salvia and a foxglove. Like foxgloves, it grows 3-6′ tall, attracts bees and hummingbirds, and gently reseeds itself to spread gracefully around the garden. At Montrose, it grew in the pathways. 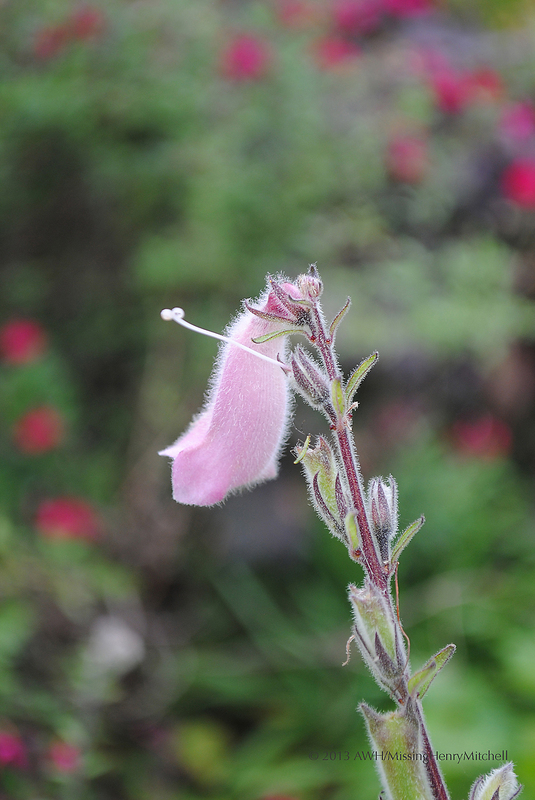 The front of the blossom looks very much like that of a foxglove. (Unfortunately, I couldn’t photograph the flower’s face without stepping in the borders.) I imagine it looking most attractive in the company of Salvia leucantha, Papaver ‘Lauren’s Grape’ and Callirhoe involucrata. I think I must get the rest of my cyclamen sown, and quickly. This entry was posted in 2013, Garden visits and tours, Ideas and tagged annuals, bee plants, ceratotheca triloba, gardening, hummingbird plants, montrose, pollinators, south african foxglove by missinghenrymitchell. Bookmark the permalink. I’ve not come across this lovely plant. I’m going to see if I can find it in any seed catalogues. It is gorgeous. I love those hairy flowers. I’ve just come across your blog and I am enjoying reading it. Thank you! I am glad you are enjoying my blog. I do know that Select Seeds in the US carries Ceratotheca; I would be very surprised if T&M didn’t carry it as well.